Hong Kong-listed Landing International Development Ltd, promoter of the Jeju Shinhwa World gaming resort project in South Korea, has told GGRAsia the foreigner-only casino at the property is now likely to open “at the end of the year” rather than on December 8, as had been suggested in a press release in September. The launch of Marriott Resort Jeju Shinhwa World hotel at the project site is also due to take place at the end of this year, Landing International also confirmed. Jeju is a semi-autonomous region of South Korea that is a popular holiday destination for mainland Chinese. Landing International additionally gave guidance to GGRAsia that the group is not likely to need a further share placement exercise for the second phase of Jeju Shinhwa World, but would instead pay for it via bank borrowings, property sales at the site and operating cash flow from phase one. David Hoon, a senior vice president of Landing International, told us a retail zone at Jeju Shinhwa World the firm referred to as “Shoppes” would additionally launch by the end of the year. In order to have a casino at Jeju Shinhwa World, Landing International would be shutting its existing gaming operation at Hyatt Regency Jeju Hotel and moving it to the new Jeju site, Mr Hoon confirmed to us. He added that the Jeju Shinhwa casino would have 150 to 160 gaming tables. The firm had previously mentioned 150 gaming tables and 185 slot machines for the new site, compared to the existing 28 tables and 16 slots at Hyatt Regency Jeju Hotel. A Landing International press release had previously referred to the new site having a facility called “Jeju Shinhwa World Marriott Resort and Spa” with 630 guest rooms to be opened in two phases: the first with 486 rooms, and the remaining 144 rooms in a second phase. In its latest update to us, the firm confirmed that it is opening on Saturday a Landing-branded hotel; a meetings, incentives, conferences and exhibitions (MICE) centre; and three restaurants in an entertainment facility called “YG Republique”. The latter is to be operated by South Korean entertainment agency YG Entertainment, which represents entertainers including K-pop singers. When fully opened, YG Republique will also have a themed bar and café. Phase two of the resort is to include a Four Seasons Resort and Spa and an outdoor theme park called Lionsgate Movie World, the latter slated to be completed in 2019. Mr Hoon did not clarify how much capital would be required for phase two. 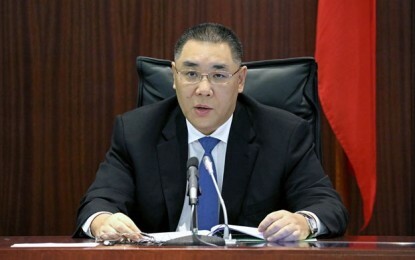 The resort developer previously said in a September 14 filing to the Hong Kong bourse that it had completed the placing of 24 billion shares, raising net proceeds of HKD1.79 billion (US$229.2 million), which it said was for the new Jeju scheme. 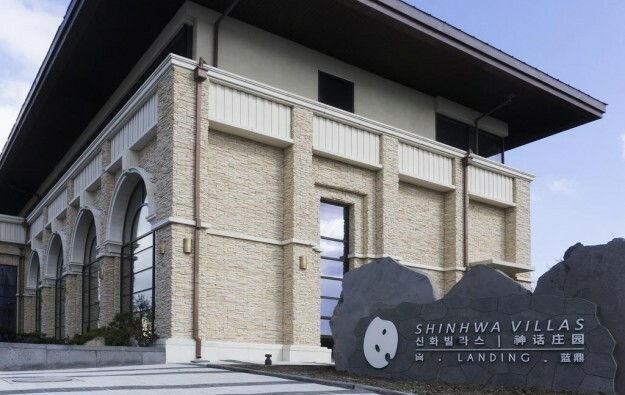 In a September 21 press release, Landing International stated it was putting what it described as an additional US$300 million into the Jeju Shinhwa World project. The firm said in a November 8 press release that since September 2013 it had invested US$1.5-billion of foreign direct investment into South Korea through its wholly-owned subsidiary Landing Jeju Development Co Ltd. The company had already announced an initial-phase opening in April for Jeju Shinhwa World, with the launch of a 344-unit serviced resort condominium called Somerset Jeju Shinhwa World. On September 30, Landing International opened a facility called Shinhwa Theme Park at the resort, offering 15 rides and attractions themed by TUBAn, a South Korean digital animation studio specialising in 3D work.